Over the past year or so I don't think I've bought a single drugstore foundation; I was a bit of a foundation snob. However after seeing quite a few people rave about the L'oreal Infallible 24-Hour Matte Foundation, I popped to Boots and promptly bought it. As a little bit of skin background, I have dry, dehydrated skin. So it may seem strange of me to pick up a foundation with the word "matte" on it, however I really like matte foundations that last on the skin and don't need extra powdering throughout the day because I cannot be doing with that. In short, I love this foundation. It reminds me of my Mac Studio Fix Fluid, it covers everything I need it to, it looks flawless and it lasts. As you can see in the above photo, I have two shades; Porcelain and Vanilla. Vanilla was a little too pink for my neutral undertones and Porcelain was a little light, so the two together work really well. As the foundation is so affordable, I don't mind too much about having to mix the two together as rarely do drugstore foundations match me. 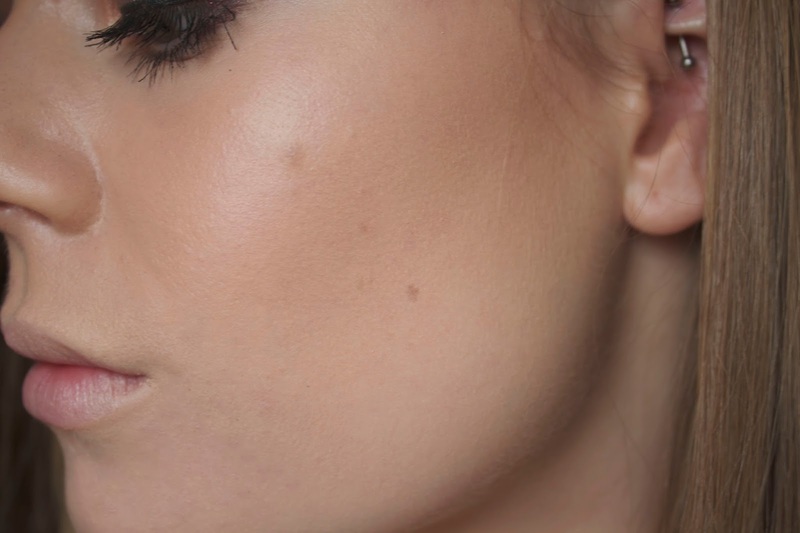 My favourite way to apply it (as with most foundations) is with a slightly damp beauty blender, which leaves it looking flawless. It's a full coverage foundation which I love as I have a lot of acne scarring to cover, however at the same time, it doesn't feel heavy or cakey on the skin. It makes me look like I have good skin, which I definitely don't. As for the "24-Hour" claim, I can't really comment on this as I have never worn this for 24 hours, but it lasts amazingly through the whole day, I don't need to touch up or re-powder my skin. 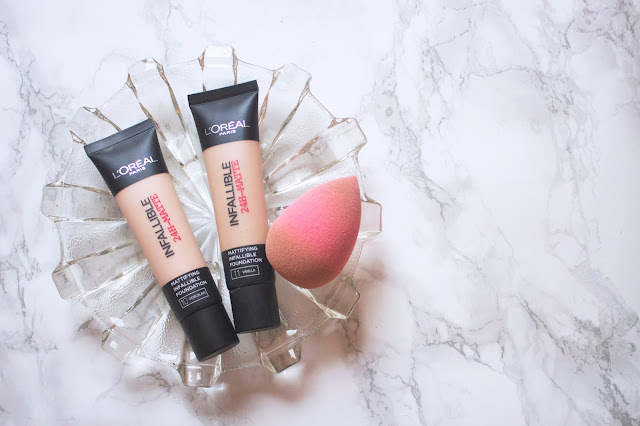 I think this is a great foundation is you are after something with high coverage, high staying power and a matte finish. You can buy it from boots for only £7.99! This is a great post, I rarely trust high street foundations but they can be such a bargain! I love the original version of this foundation - it's by far the best I've tried from the drugstore. I'm yet to try the matte version.